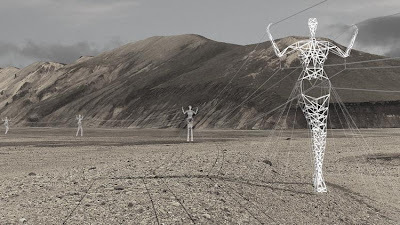 Beautiful architecture works best when it complements and adds another dimension to its natural surroundings and we think that this concept (The Land Of Giants) designed by American firm Choi + Shine Architects does exactly that. 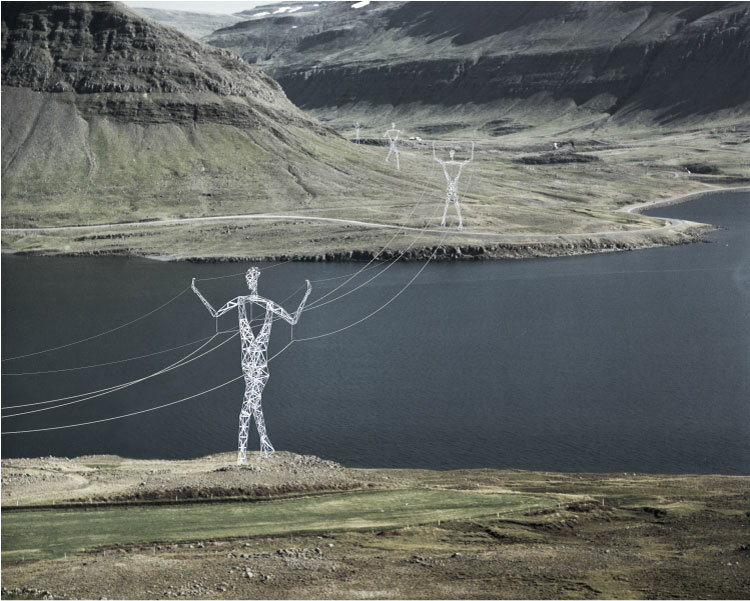 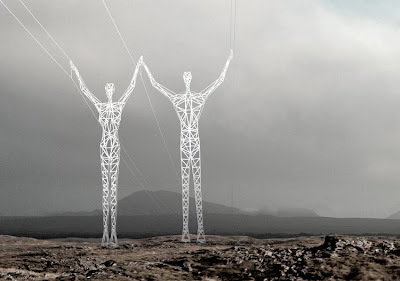 By making only small alterations to existing pylon design they have managed to transform normally mundane electrical pylons into elegant statues striding across the Icelandic landscape. It's a fantastic idea and well worthy of the winning recognition it received at the recent 2010 Boston Society of Architects Unbuilt Architecture Awards.